Congrats to Andrea, who won a signed copy of Cutting Teeth from Julia Fierro! Lisa Alber is excited that she’s a member of the planning committee for the Left Coast Crime 2015 “Crimelandia” (i.e. Portlandia) conference. She’ll be organizing the writers workshop. Susan Gloss is thrilled that VINTAGE is a Brava Magazine Salon pick for 2014! Details soon for a book event and vintage soiree with Brava this fall in Madison. 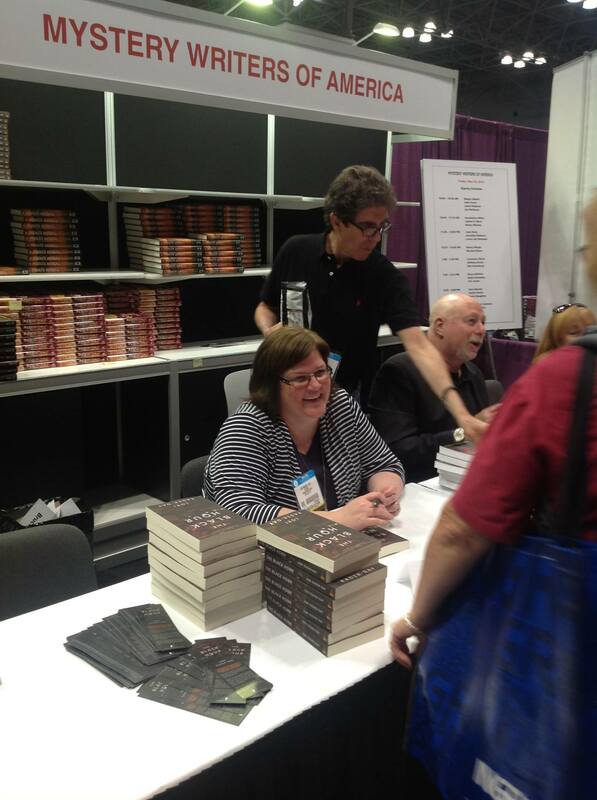 Lori Rader-Day had a blast signing many (many) copies of THE BLACK HOUR at Book Expo America in New York City. H eather Webb received a release date and sparkly new cover for the Dutch translation of BECOMING JOSEPHINE, coming September 16, 2014 from De Fontein Romans!